The City of Newark’s Water and Sewer system dates back to the 1880s. Although it is an old system, it is an effective one. Newark ranks as having one of the best quality, best tasting water in the State of New Jersey. Various independent engineering studies have shown that over the next ten years, the City will need to make improvements to the system, totaling approximately $450 million, in order to continue to efficiently supply its residents with quality water. Major improvements are needed in each of the City’s wards. Some of these projects and improvements are mandated by the Environmental Protection Agency and the Department of Environmental Protection so that our water supply and sewer collection system meet federal and state regulations. The Mayor, Municipal Council and the Department plan to implement infrastructure and operational changes and upgrades that will provide the most improvement to the water and sewer system with the greatest benefit to the City and its residents. Pursuant to Revised General Ordinances 6PSF-A (S) and 6PSF-B (S), effective March 2, 2015, Water and Sewer rates increased as adopted by the Municipal Council on February 10, 2015. The bill you receive in April will reflect these new rates. 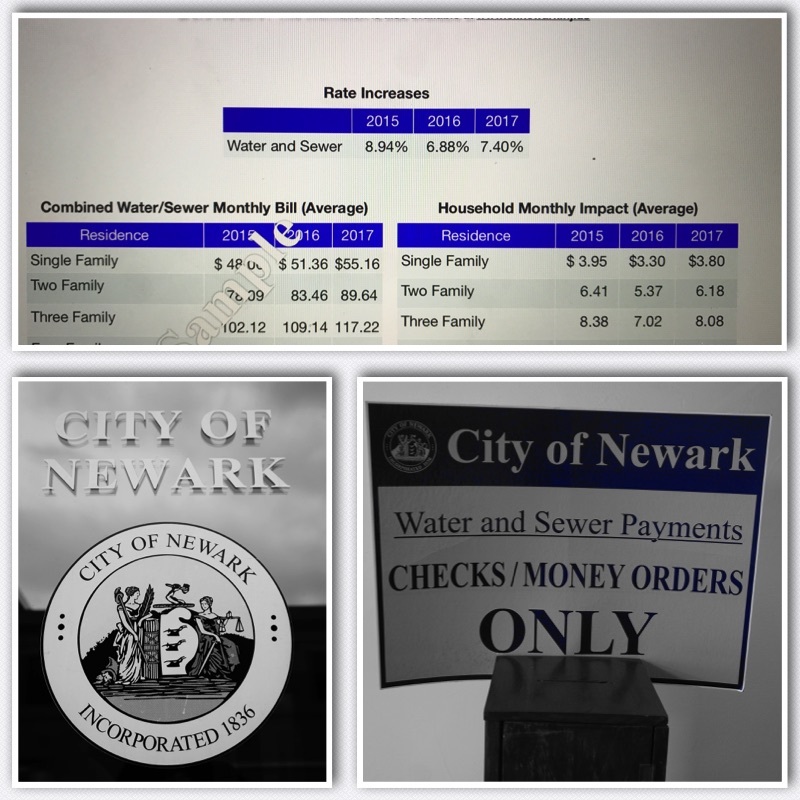 Why are my water and sewer rates being increased? The City’s water and sewer rates, before the increase, were considerably lower than those of surrounding municipalities. The former rate structure was not sufficient to cover the costs of the necessary improvements. The moderate increase to the water and sewer rates will cover the infrastructure projects and improvements. A meeting is required for projects in need of technical assistance to determine pricing.